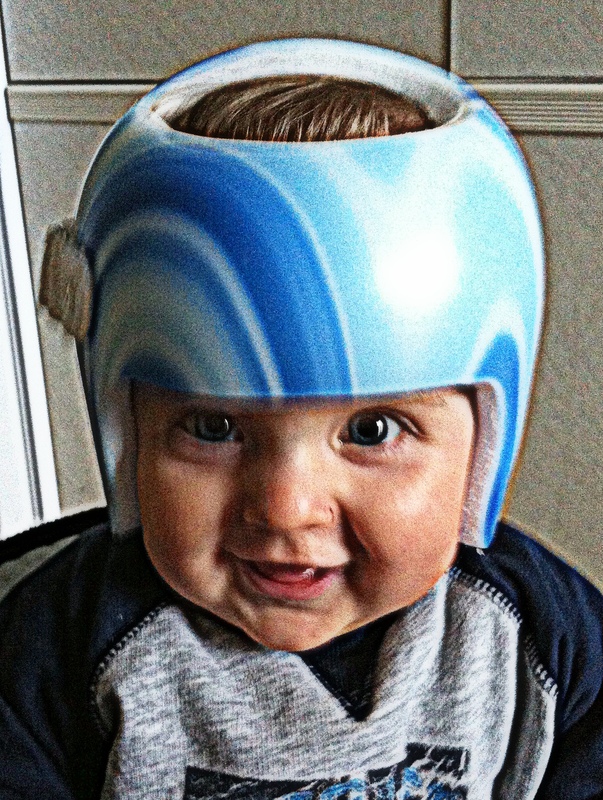 My baby boy is 11 months now and it is nearly 4 months since we first put a helmet on his head. As I have already written before, the beginning was not easy, but now he is so used to wearing it, that it rarely bothers him. At our first visit at the clinic we were told that he would have to wear it for about 3 months, but lately after a discussion with a specialist we decided to keep it on one more month. It is because there is still some space in the helmet for the head to grow. It makes me really happy to see the development. But sometimes, I think that the flatness is still there. It is like the head has changed, but not completely. I don’t know, maybe I think that, because I see his head every day? To convince myself that the change is really there, I look at the pictures and cranial assessment report. I really can’t wait for the therapy to finish and to see the final result. Yet, it will be hard to get used to the fact that the ‘special hat’ is not there any more, as it doesn’t only mould the skull but also keeps it safe. And with an active baby who starts standing up and walking, this invention is a godsend.